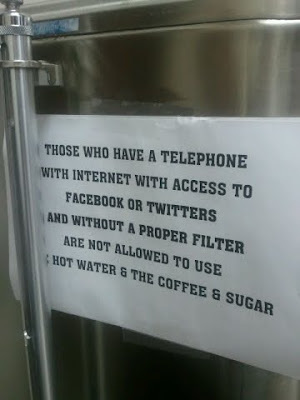 If you can't threaten to throw them out, or that they're not welcome, deny them the coffee, the hot water and the sugar. That'll teach 'em. 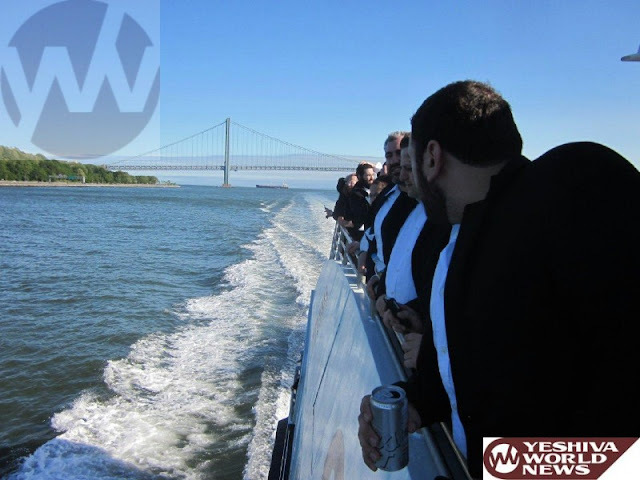 We may not say it in Chabad, but that doesn't mean we can't enjoy listening to it. 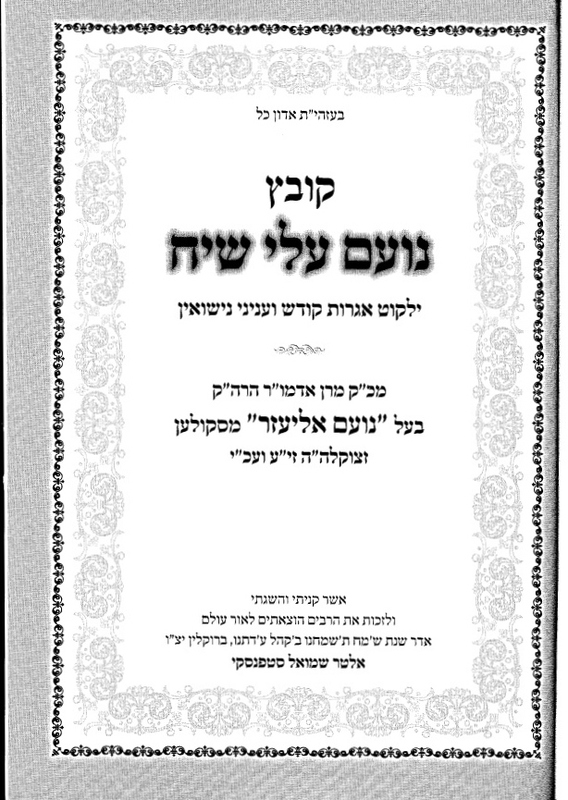 The Dzibower Roov's speech to the "יוצאי אונגארן" starts at 53 minutes. 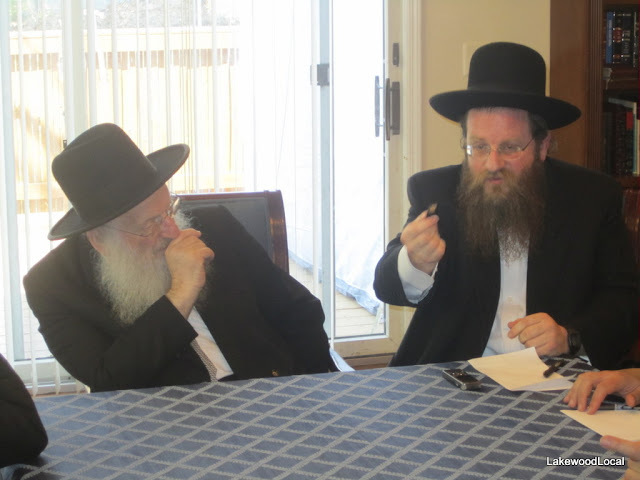 A Shuvu event featuring Rabbi Yossi Jacobson, Lubavitcher extraordinaire. Yes, I know, it's not at Gedalia Weinberger's house, and it's not the main dinner/event, but we'll take what we get. This is good too. Overheard... Can Lubavitch increase its ranks after this "asifa?" Yes. I was there. From 7pm to Midnight. I'm not on the מזרחי'ס payroll, nor am I a card-carrying member, but I find these little "bull-sessions" very disheartening. ערשטענס, ווי קומט עס אז מ'זיצט און מ'פלוידערט לשון הרע אויף אזוי פיל גוטע אידן אזוי פאר א קארגע האלבע שעה? און זייט ווען איז ר' מיכל זילבער געווארען אזא קנאי אז ער זיצט און רעדט אויף גדולי ישראל וועלכע קענען געבן אסאך א בעסערע "דף יומי" שיעור פון אים? און אויב שוין יא זאל ער זיך בעסער פארקוקען די דב"ט שיעור ווייל ס'איז פול מיט גרייזען! און ער פרעגט צו "דער רבי האט געהערט פון ר' .... זעווין" ער מיינט טאקע אז הרש"י זוין איז געווען באקאנט נאר אין ירושלים ביי די ציונים? A little positive spin never hurt anybody, but is he oversimplifying the issue a tad? "Rabeinu," is, of course, Rebbe Nachman of Breslov. I just love that guys are going back to the age-old Chassidic texts, be it Breslov, Chabad, or whatever. It seems like some haters never rest. And some times they'll resort to lies and deception just to make their point, and in this case to get הסכמות, just to sell the book. 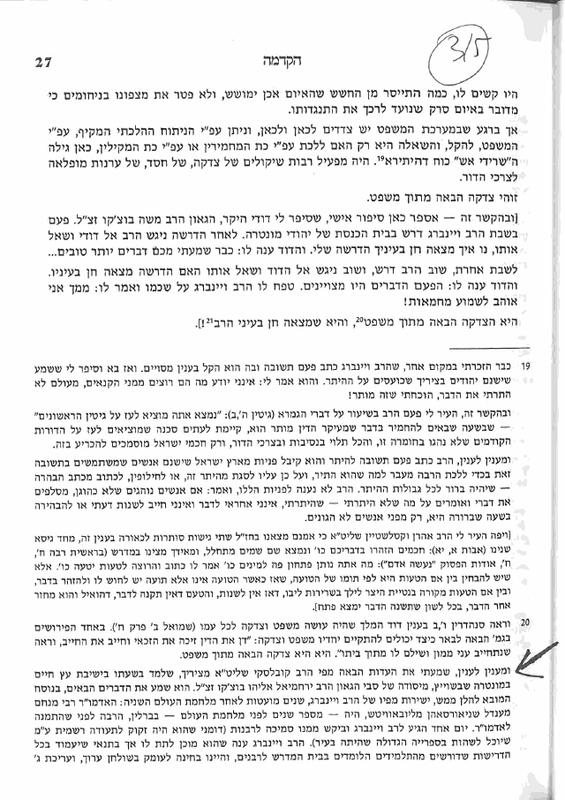 This character went to the son of the Old Toldos Aron Rebbe, zt"l, telling him that he wants an haskomeh for a sefer that will feature תורות from his late father. He then did the old bait and switch. 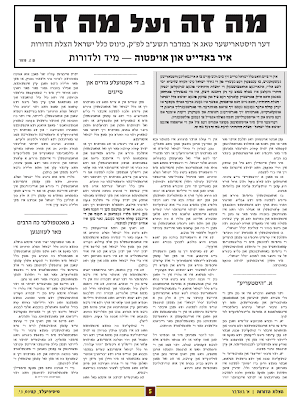 He went and published this booklet full of hateful attacks against Chabad and Belz, because that's what he does best. And the worst part is the הסכמה that he got and that is now weighing on the conscience of הרב ר' יוסף יואל קאהן, who realized what this זשוליק did and issued a מכתב הבהרה telling people that this is not what he saw when he wrote the הסכמה. He has said out loud that he is not מוחל this man בזה ובבא. This is typical of some of the hard-line Satmar/בני יואל types who see everything in the world through this very small prism of Zionism, etc. They live and breathe this stuff and will do everything in their power to spread this deceitful message. I suppose if the author was in business he'd be selling grey market electronics on Coney Island Avenue. You talk about anonymous bloggers? This anonymous booklet takes the cake. אביסל אמת וועגן וואס עס גייט פאר הונטער די קוליסן ביי די הכנות צו כינוס כלל ישראל, ווי ס'פלאקערט אן ערנסטער געפעכט און מאכט געראנגל צווישן די חסידישע עסקנים וועלכע פירן מיט סוקסעס דעם כינוס, און צווישן דעם מייסד פונעם גאנצען געדאנק פונעם כינוס און די מהלכים אויף נאכן כינוס, נחמיה גוטליב. ווי באקאנט גייען די הכנות אהן צום כינוס שוין אריבער א יאר צייט, דער געדאנקט איז ארויפגעקומען דורך אן פריש ערשינענם ליטווישער עסקן אויפן האריזאנט ר' נחמיה גוטליב, וועלכע האט איין מטרה, פרנסה קלה ונקיה, און קענען חתונה מאכן די קינדער בריווח אהן קיין עקסטערע עגמת נפש. זיין פלאן איז צו עפענען אן ארגאזאציע אדער קאמפעני, וויאזוי מען וויל עס נאר רופן, וועלכע וועט האבן קאנטראל אויף די טעכנעלאגיע פונעם גאנצען יהדות החרדית, און דער קאמפעני וועט מאכן גרויס געלט, סיי דורכן שנארען פאר אזא הייליגע וויכטיגע ארגאנזאציע, און אויך מיט די צייט דורכן ארויפלייגן א פרייז פארן לייגן פילטערס און פארזיכערן ברוחניות יעדן קאמפיוטער. אבער וויאזוי גייט מען מאכן זיכער אז גאנץ כלל ישראל ווערט אינטערטעניגט אונטער מר. גאטליב? אויף דעם איז גאטליב'ס עצה געקומען, צו מאכן א כינוס אנגיבלעך דורך די גדולי התורה וישראל, און צוזאמרופן אלע שיכטן פונעם יהדות החרדית און דארט כופה זיין עליהם הר כגיגית, אז מען מוז פאלגן וואס דער נייער ארגאנעזאציע פארלאנגט, און אזוי ארום מיט אזא שטארקע יסוד פון דעם מעכטיגן כינוס, וועט ר' נחמיה זיין א חשוב'ער איד, און אויך א שיינער בעל פרנסה. האט אבער פאסירט, אז אויף צו פירן אזא כינוס פעהלט זיך אויס מעכטיגע עסקנים, נישט נאר אז פארהייליגטע גדולי ישראל זאלן עס פארופען, נחמיה קען דאך נישט, און דעראיבער איז במשך חדשים לאנג אלעס געגאנגען מיטן פיטום אראפ, אויף אזוי ווייט אז ביז נאך פסח האט זיך נאך קיין איין קהילה בישראל נישט געהאט צוגעשטעלט צום זייט פונעם כינוס, וועלכע איז געוועהן א שרעקליכער דורכפאל פאר ר' נחמיה און אויך פאר די גדולי ישראל וועלכע זענען פארמישט געווארן דא, און פרובירן נעבעך זייער בעסטע צו טוהן אלעס קעגן דעם נגע הטעכנעלאגיע. Reb Akiva passed away Friday night. "Rabbi Moshe Shimon Sivitz (Zivitz) Chief Rabbi of Pittsburgh, PA Rav Sivitz was born in Zhitovyan (Kovno), Lithuania and studied in the Yeshivos of Slovan and Chelm, where he became a close disciple of Rav Eliezer Gordon, the Telzer rosh yeshiva. He also received semicha (ordained) from Rav Gordon and additional semicha from Rav Yitzchok Elchonon Spector, the Kovner Rav. The Rav's first pulpit was in Phikelin, Lithuania in 1885 but soon after moved to the United States. Before becoming the Chief Rabbi of Pittsburgh the Rav spent two years in Baltimore. 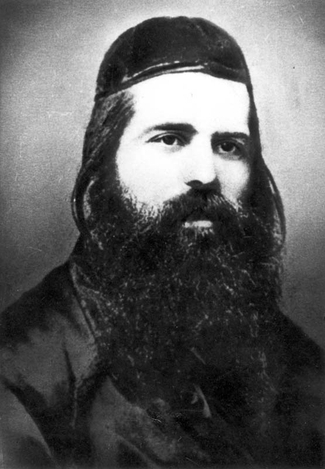 Rav Sivitz, known as an outspoken critic against the Reform movement, organized the first talmud torah (day school) in Pittsburgh. 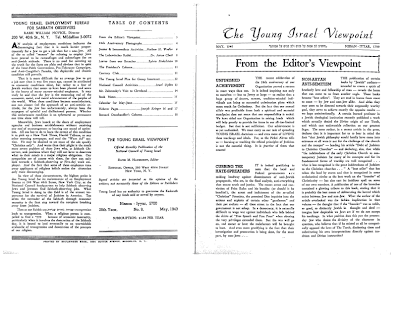 The Rav was held in high esteem by many Rabbonim in Europe among them Rav Yisroel Meir Kagan, the Chofetz Chaim, who wrote the approbation to his commentary on Talmud Yerushalmi (Jerusalem Talmud). 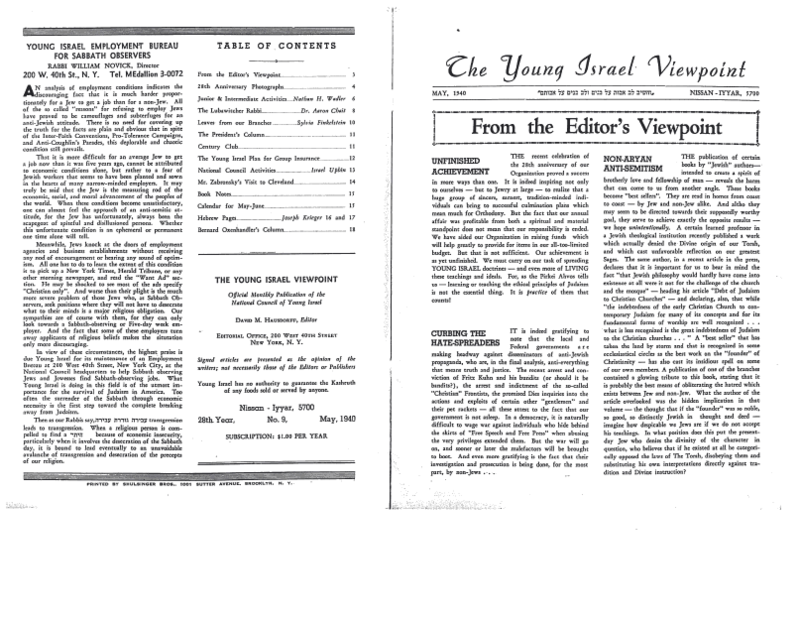 As a side, the Rav delivered the keynote eulogy at Chief Rabbi Yaakov Yosef Joseph's funeral." I think I've figured out why they're channeling Mihalkovich, Hungary, 5626 (1866) in their literature. They're trying to recreate that! They're going to try and wield the same power that the Rabbonei Hungary did back then. 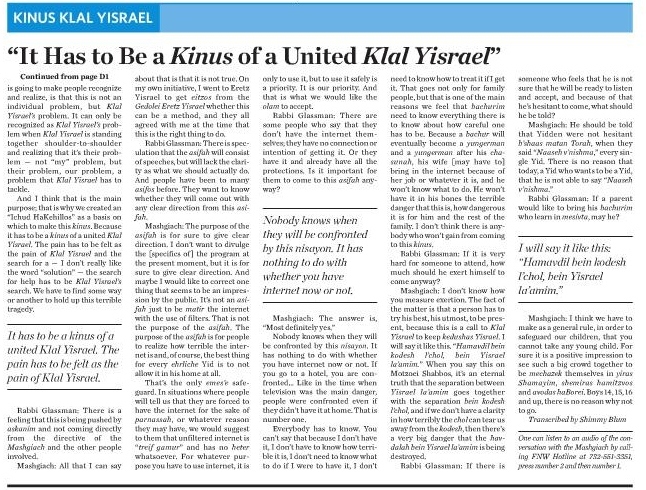 Just like the Rabbonim then decided that "you're either with us or against us," that if you do not join the Orthodox, then even if you're Orthodox you're not.... So too here. Back then if you remained Status Quo you weren't part of Orthodoxy and your shechita was treif and your Rav was as good as Reform, even if you had a beard and peyos to the floor and your wife wore a Burqa. 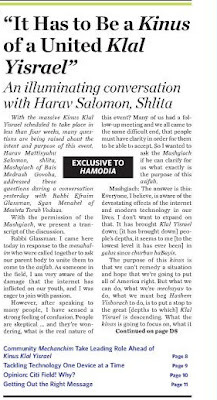 This is apparently what the organizers and the Rabbonim here are trying to do. They want those who have Internet at home, or at least unfiltered Internet, and you all guys with the Blackberries and IPhones, they want you to be considered Status Quo Jews, and thus מחוץ למחנה. 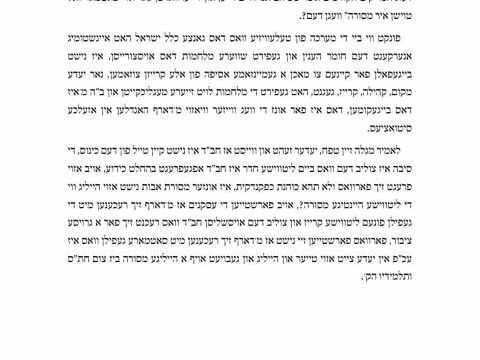 That means you're out of the schools, Yeshivos, shuls, your shechita is treif and you cannot be MESHADECH with any Orthodox Jew! (if nothing else does it the shidduch ban will.) Well, maybe not that much, but you're Modern Orthodox and considered as if you have a TV or home, or as if the lady of the house doesn't cover her hair. I'm not sure how they plan on accomplishing this in times like today. 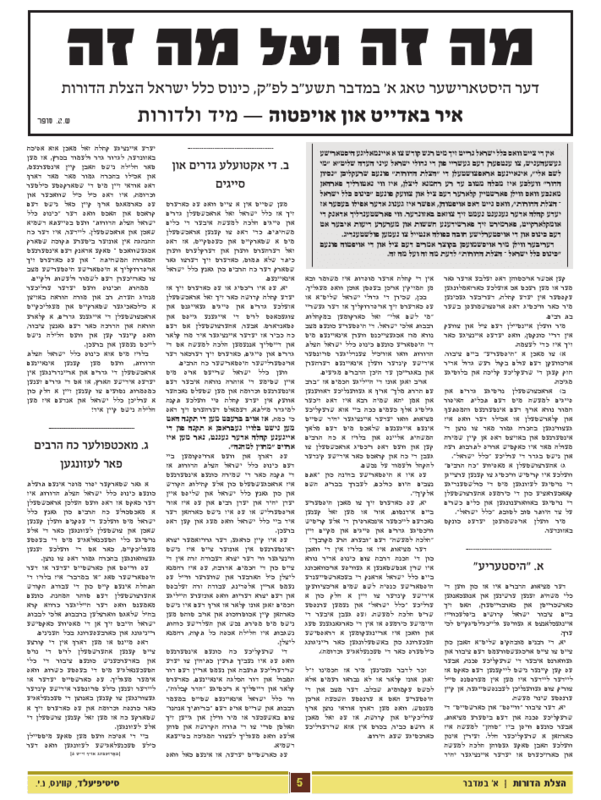 This is from the "הצלת הדורות" pamphlet which we brought in its entirety last week. As you can well imagine I cannot read all of the literature that I present to you, so I did not notice it then. This particular page was brought to my attention at the end of last week by a very respected individual who was very taken aback by the words that they highlight here and considered them enough of a reason NOT to attend. He considers this very much NOT in the spirit of Toras HaBaal Shem Tov, and thus any person who follows the דרך הבעש"ט הקדוש - and for whom the בעש"ט is holy and dear - should not attend. I said I would see what he's referring to, and now I see what he means. I'm sort of at a loss here. 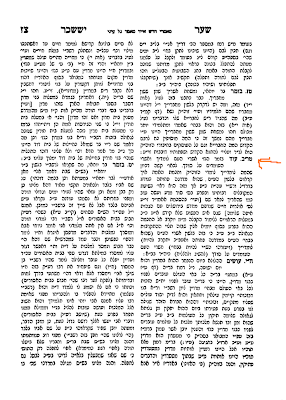 I know that this חשוב'ע person is not of Hungarian extraction and has never been exposed to this style of speaking and writing. To him all Jews are Hashem's children. There was no "teilung" where he comes from, so he cannot relate. 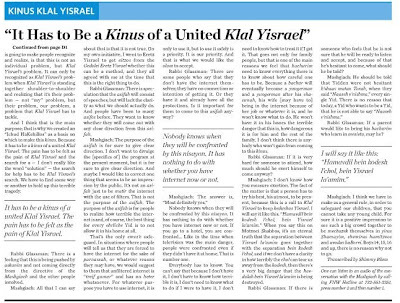 He wouldn't do a shidduch with just anybody either, but this talk of מחוץ למחנה, and similar language REALLY rubs him the wrong way. He also has standards when it comes to whom he'd allow in schools, but it's the harsh language, which many would say is totally unnecessary, that got him so upset that despite the fact that he filters his internet he will not attend and wants others to stay away as well. Is it really necessary to use such language? Am I - and him - the only ones that think that writer here sounds like a very ANGRY man? Of course all Jews have a connection with RaSHBI, but some of us feel closer, since we like to think that we are עוסק in his teachings. The Karliner, or other Chassidisen that have strong roots in the Holy Land, consider themselves gantze mechutonim just from the fact that they build large fires to honor his name. 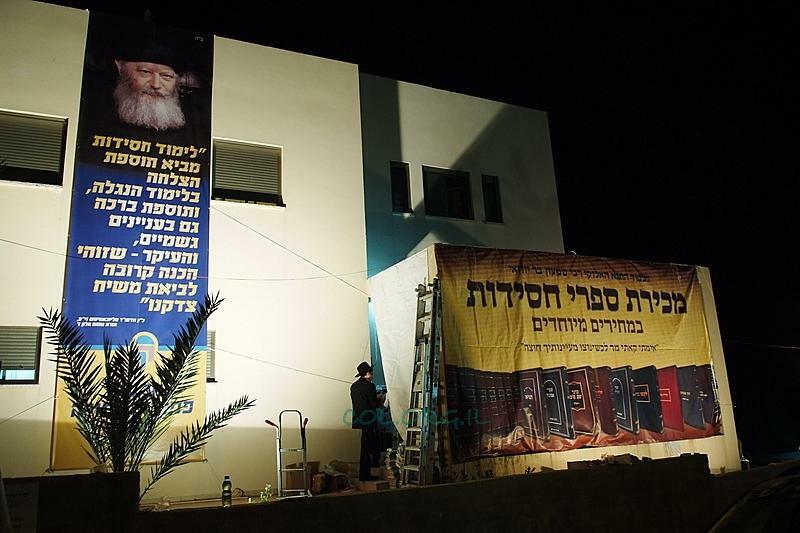 I'd like to think that celebrating Reb Shimon's essence is more than any bonfire, as important as that may be , and is. Yes, Kabbalists may feel like they're in the front row, but we all know that it's all in there. All the Kabboloh you need is in Chassidus. 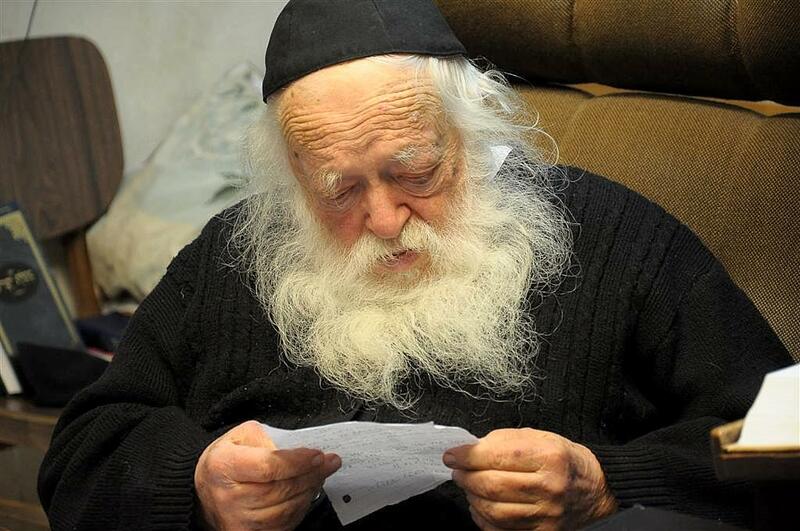 Sources tell me that the Mashgiach, Rav Matisyahu Salomon, שליט"א, is in Israel, having just landed at Lod Airport. 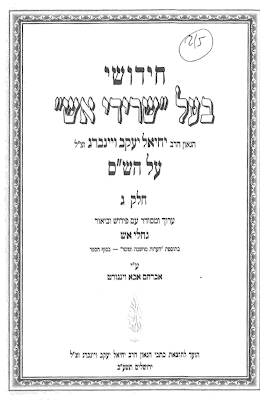 He will make his way to Rehov Rashbam in Bene Beraq to see the elderly Rav Chaim Kanievski, tzu lange yohren. 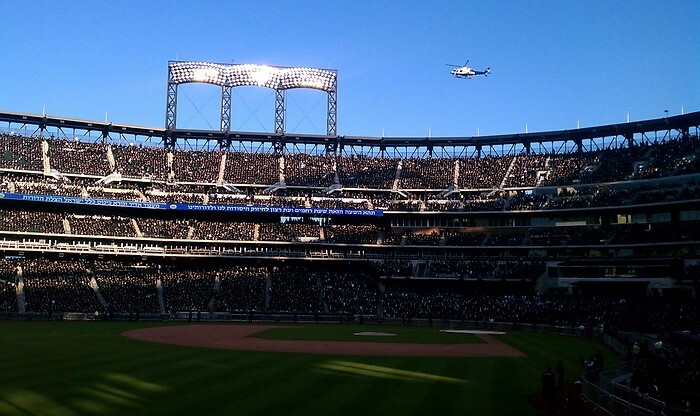 Once at RCK's home he will personally invite him to the Kinus Klal Yisroel, scheduled to take at Citifield in Queens, New York on Sunday, 28 Iyar. It must be noted that the elderly RCK has not left the Holy Land since arriving there as a child, circa 1933. Why then would RMS invite him? Apparently Rav Matisyahu was in Israel a few months ago on another matter and went to see Reb Chaim to receive his blessing. 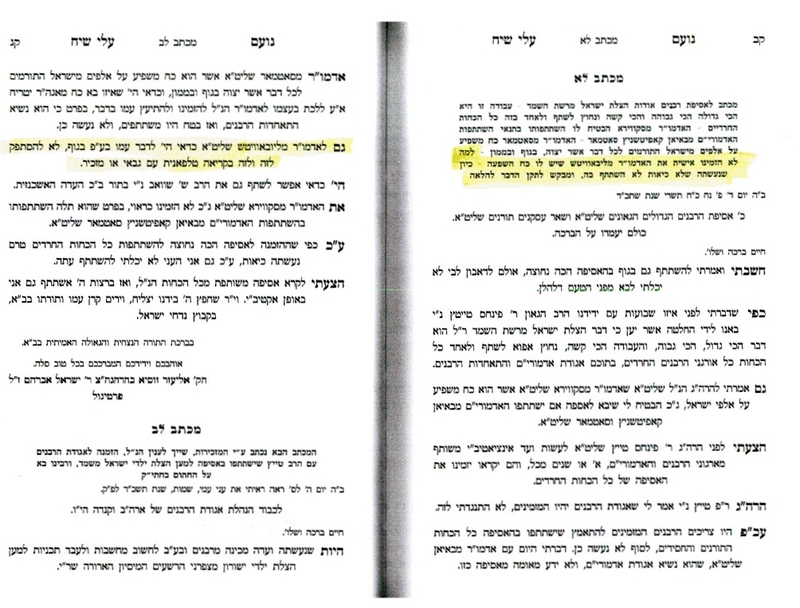 He then proceeded to invite RCK to the gathering that would take place before Shavuous, to which Reb Chaim answered: "איך וועל קומען צוזאמען מיט'ן שווער." 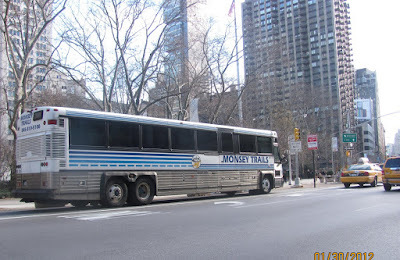 His shver is הרב אלישיב, who has been hospitalized for some weeks now, so he won't be traveling to Queens. But that's beside the point. Rav Elyashiv came to Israel as a 10 year boy and has never left either! 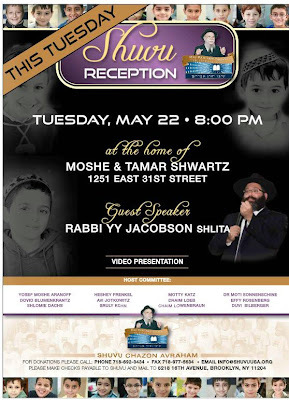 So we can safely assume that Reb Chaim will not be attending. But Rav Matisyahu is not deterred! 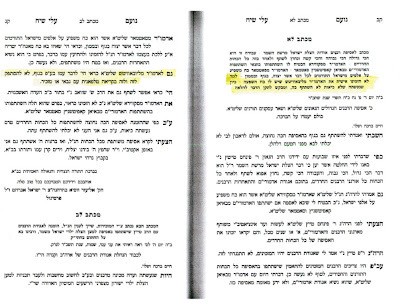 He will plead his case before Reb Chaim and get him to come.... Reb Chaim did say that it was incumbent to close the גמרא and attend, but I'm not sure if it supersedes the prohibition of leaving the Holy Land, which Reb Chaim and his shver both adhere to, seeing as they've never left. Since his illustration graces the top of this blog, I thought it appropriate to mention this bit of news. He never married and left no offspring, so maybe we can learn some Mishnayos for ol' Maurice? Anybody know his Hebrew name? We thank Rabbi Yair Hoffman and the good people at VosizNeias for making this happen. After all, we all know that RMK never said it, don't we? It's comments like #49 ("Lubavitcher") who bring us all closer together and show the world that making fun of Gedolim is not cool. I was especially shocked to see the news about his sudden passing. Allow me to share my experiences with you all, for just a moment. Please understand that I mean only to highlight his achievements in life, not ח"ו anything else. (and if you can't believe me you're welcome to leave.) 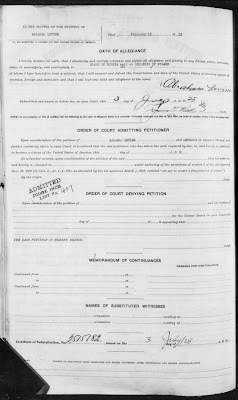 Kivi Ehrenfeld was the youngest son of the MR. While his older brothers were leaning heavily towards Chassidus and were more aware of their role, I guess, as the Rov's children, he was a normal kid. [That's not to belittle his other sons. They are very fine and eydeler yungeleit, great Talmidei Chachomim in their own right.] Kivi played ball with the rest of the Ch'san Sofer boys, and was VERY good at it. Notice how I highlight and put "very" in CAPS.I would imagine that was the way his parents wanted to raise him. Normal, like the other kids in their מוסד, and I don't think I'm going out on a limb by saying that he enjoyed being just one of the guy, not anybody special. I even believe he got a High School Diploma in YCS' very fine and NYS Regents Board accredited Secular Studies Dept. Then one day, a few years after his Bar Mitzvah, Kivi became very serious, started learning with a tremendous Hasmodoh, and never looked back. I don't think any of us had ever seen such diligence. 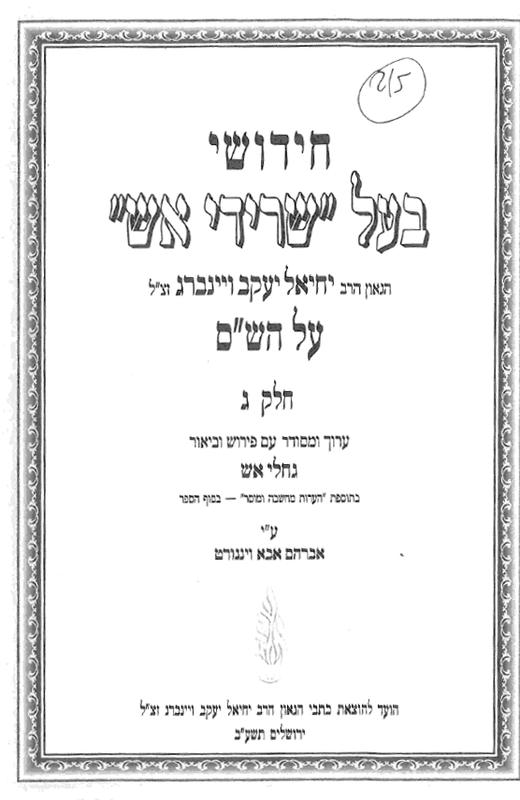 It was as if he had received a new neshomoh, a נשמה that was כולו תורה. And it was all very much in a way of הצנע לכת, without benefiting from it in any way. We were all in awe of him, and it taught us a tremendous lesson, that all it takes is a little will to change. ( I guess זכות אבות didn't hurt either, but that only goes so far...) It's been a while since I've seen or heard from Kivi. Not that we were every buddy, buddy. I may have seen him in London - I don't remember. And to hear this piece of news right at the beginning of the work week is absolutely terrible. I knew that he had gone off to learn in Eretz Yisroel, to Ponovizh, maybe, but since he was no longer part of YCS in Boro Park (at least not in the period soon after he left, I don't know about today, but I would assume that since he lived in Lakewood that he wasn't there every day) [now I hear that he would drive in from Lakewood and learn with יבלחט"א his father every day in Yeshiva...] I knew very little of what was going on with him, and now I know... What a terrible update on a young Talmid Chochom's life! 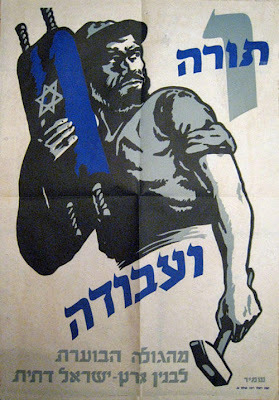 May his family know no more צער ! "למה לא הזמינו אישית את האדמו"ר מליובאוויטש שליט"א שיש לו כח השפעה..."
In a previous thread there was talk about the Skulener Rebbe and his connection to the Lubavitcher Rebbe. It was in the comments, I believe, not the גוף of the post. 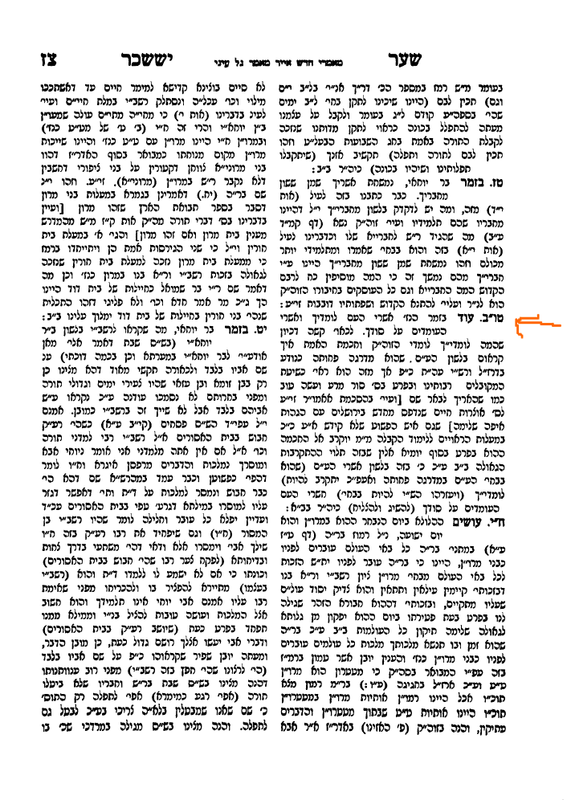 This sefer was mentioned, and here is the relevant page. Talk about changing attitudes; Skulen today has become something of another branch of a more zealous Chassidus, not the Romanian type that it was a generation ago. Thank the one above for Stefanski, who tries to keep the flame of Old Skulen alive. It was Sunday, May 22, 2005 (!) when we started doing this. 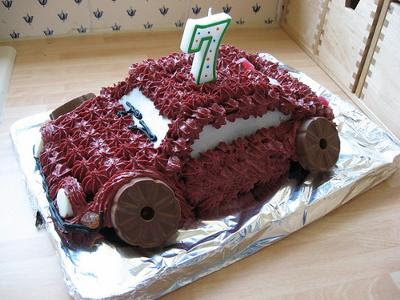 That corresponds to י"ג אייר, which means that today, Shabbos, is 7 (!) years since I first put keyboard to computer page and never looked back. 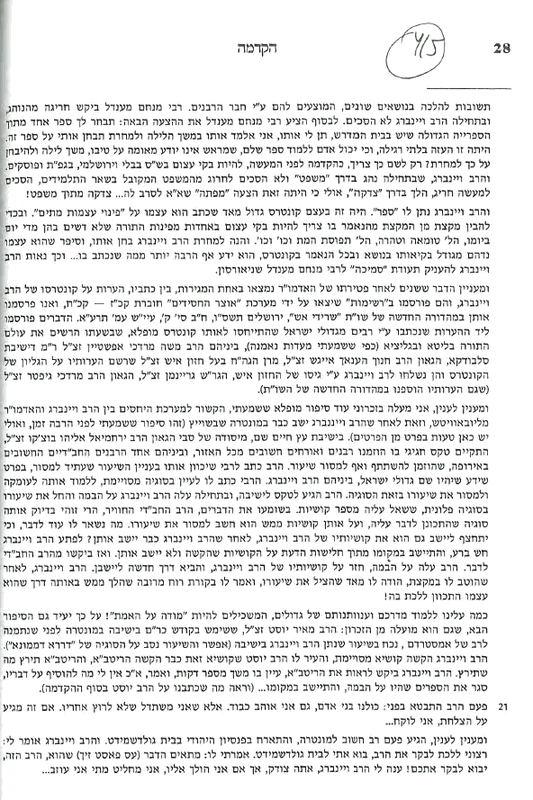 In blogging that's like 50 years, especially those blogs, like us here, that do it only for the sake of heaven, שלא ע"מ לקבל פרס. Since we're Jewish here we'll use the Hebrew date. Maybe I'll buy myself a cake or something. What do you suggest? What are your fondest memories from the blog? I see now that several Chabad sites have picked up on the story that we broke here. Some of them totally got the story wrong, as is to be expected, and some of them just made this whole story into a Kotler bashfest. This was not the point of the story. I did not intend for every person with a grudge against RMK or his father or zeide to spew out hateful comments. 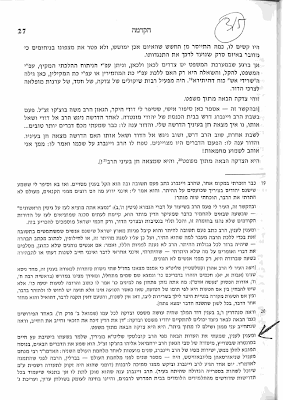 What I meant to show and to "expose" was the fact that the intentions of the organizers was lacking and that a terrible עולה was done to an עדה קדושה בישראל. RMK unfortunately brought that point to light. I don't know him personally, but I have watched him speak, etc. and I also can see that he's simply an eideler Yid, his other qualities aside, and you're right; I don't think he even meant what he said, it's just the way that it came out of his mouth. 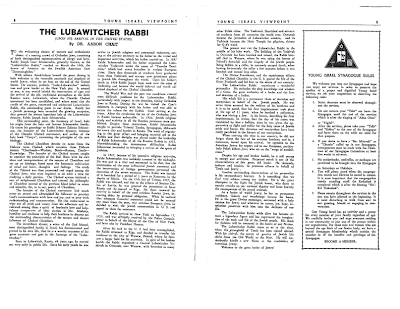 I don't think they ever dreamed that the Satmar Rebbe would ever ask them about Lubavitch, so they were ill-prepared, and these are the results. So I'm not saying that he's a "hater." And so I apologize for what this story has become. I did not send it around to any of the sites and I intentionally did not put a picture or title that would bring attention to him or RMS. - Many in Lubavitch don't care, because "זיי שטייען העכער," and that's very noble of them, but that could be because they live in their own little world. 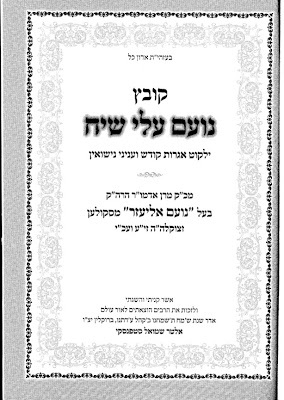 The fact is that the name of the Rebbe and all previous Rabbeyim gets dragged through the mud, and I don't like for that to continue. 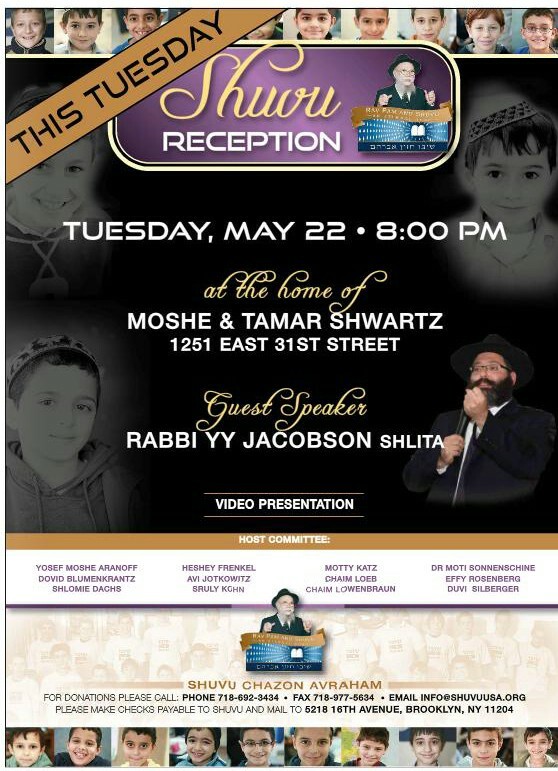 The fact that an esteemed Lubavitcher representative approached many, if not all, of the organizers and asked for a shred of decency to happen here, and that they'd like to participate in this gathering shows us one thing: that all of the "taynes" that some of you have about Lubavitch not caring about the dangers of the internet - is baloney. 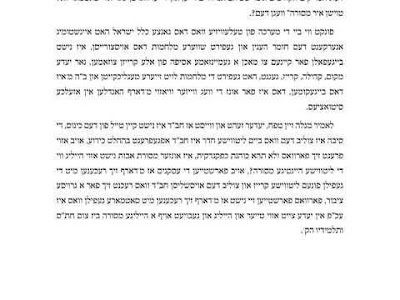 Who cares what a BRHS Principal said on Zev Brenner? Maybe they're just a bit more realistic and truthful than some of the other schools who think that by "banning" that their kids are safe.... But I digress. Don't tell me about bearing grudges against "Misnagdim" if you do the same, and to their faces yet. If you're here to save the Jews from the 5Towns from the dangers then why not Lubavitch? They too need it. They're not as smart as you and need to be educated. They've some very respectfully and asked to be part of it, they did not sit around and wait for RMS and RMK to come to them. A little common courtesy would be nice. And that's what we asked for. I say this with all earnestness - I think I've earned that little bit of trust from you. I say this all to clear my very guilty conscience, seeing as to how this got out of hand. AGAIN. And if Rav Matisyahu was somehow also attacked by me then I ask his forgiveness as well. 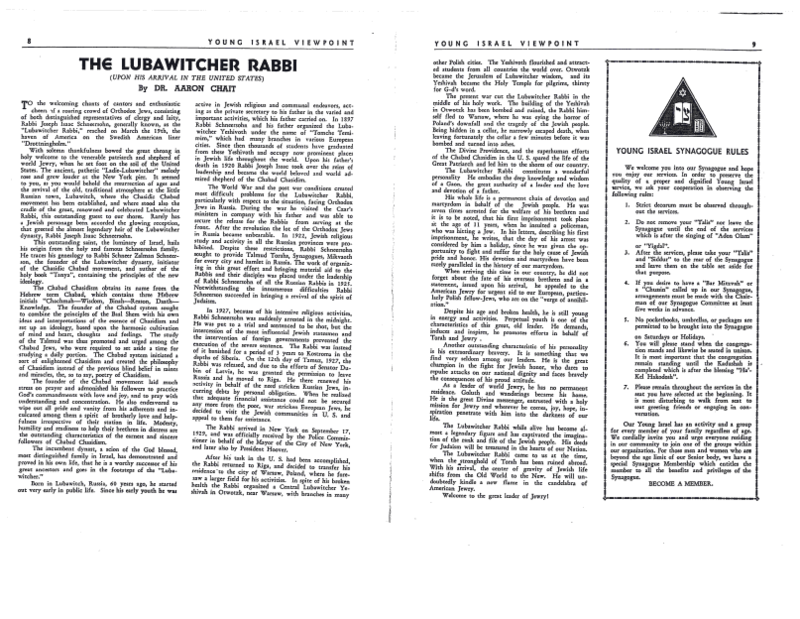 Now let those who need to apologize to the Rebbe and Lubavitch. הצלת כלל ישראל", אבער טאמער לייענט מען עס גוט טרעפט מען גוטע סחורה דעראין, ליידער. כאטש אז די אזוי גערופענע עסקנים און גדולי ומאורי ישראל זאגען אייך אז ס'איז פאר כלל ישראל איז עס זייער ווייט דערפון. זיי גייען ווייטער אהן מיט די זעלבע אור-אלטע שייגעץ שטיק ווי תמיד, נאר היות זיי ווייסען אז אהן סאטמארע פלייש וועט עס זיין א פאשלא, ווילען זיי שטארק אז דער סאטמארע רבי פון קרית יואל יע"א זאל אנטייל נעמען און זאל שיקן זיינע מענטשן. כ'פארשטיי זיי זייער גוט, און כ'האב קיינע טענות צו זיי, היות אז ס'איז ווי א ביזנעס פאר זיי, מיט זייער ווייניג כוונה לשם שמים. און ווי באוואוסט איז דער סאטמארע רבי גאנץ א קלוגער איד, און ער האט געפונען די ריכטיגע שפראך און אויסוועג ווי זיך אויסצודרייען פונעם גאנצען עסק. גענוצט חב"ד קעגן די ליטוואקעס. 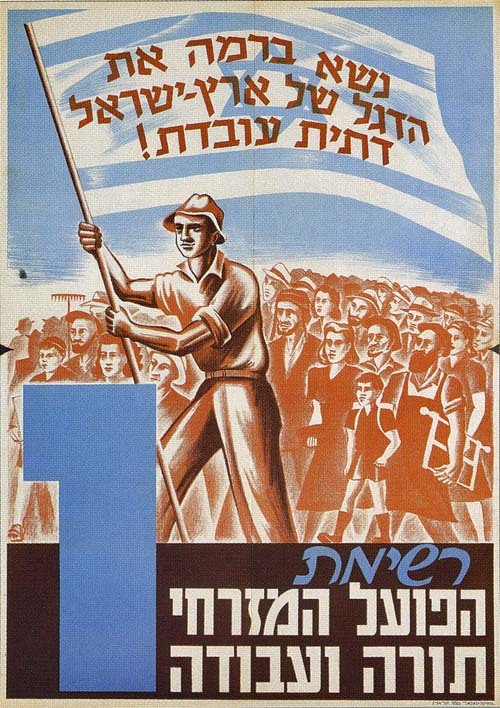 קלוג איז נישט דער ווארט! 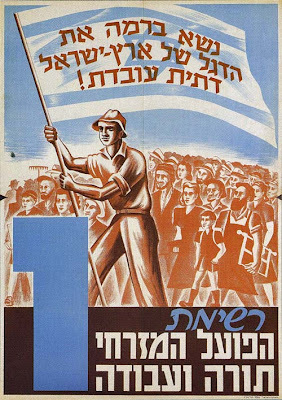 נאר וואס? לדעתי איז דאס נוצען די אסיפת מיהאלאוויטץ תרכ"ו אלץ א תירוץ א באלאני מעשה, און אלע ווייסען דאס, ס'איז נישט מער ווי א תירוץ. די פראבלעם איז נאר אז ס'דא מענטשן וואס גלייבן עס נאך, זיי מיינען טאקע אז דאס איז דער טעם פארוואס מ'זאל נישט גיין און מער נישט. אויף זיי איז א רחמנות. My thoughts in English concerning a very important point will be coming later today, IY"H.
Sorry about all the Yiddish posts recently, friends. 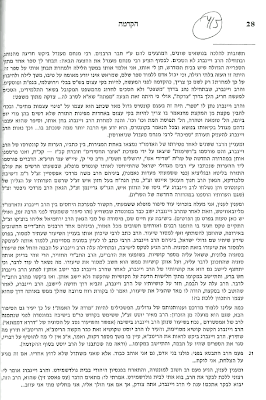 This one is especially suitable in Yiddish since the attached clips are all in Yiddish, and what a Yiddish it is! The most "chnyokishe" Yiddish of them all!